Joel Greene here from Condo Hotel Center. I’m starting today’s Property Alert with a quick story for you. Back around 1992, our firm was hired to sell a boutique, waterfront hotel in Boca Raton, Florida that had been taken back by the lender, a New Jersey bank. We took on the listing with some hesitation. 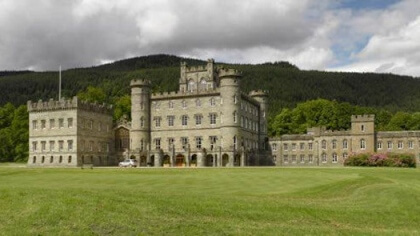 The property was nice enough, but it was a failing asset, and those can be hard to unload. We began placing ads to generate interest. We’d done this for hundreds of listings over the years, but what happened next surprised the heck out of us. When we advertised “Boca Raton Hotel For Sale,” our phones rang off the hook. Never before had we gotten such a large and immediate reaction for a relatively small, unknown property. The reason for the mega-response soon became clear. The name “Boca Raton” was magical, a highly desirable upscale community that attracted buyers worldwide. The property sold quickly on an all-cash basis in excess of the asking price and is still open and operational, going by the name Boca Raton Bridge Hotel. What I’m here to tell you about today is a luxury condominium not far from The Bridge Hotel. It’s the first condominium offering we’ve ever had in Boca Raton. 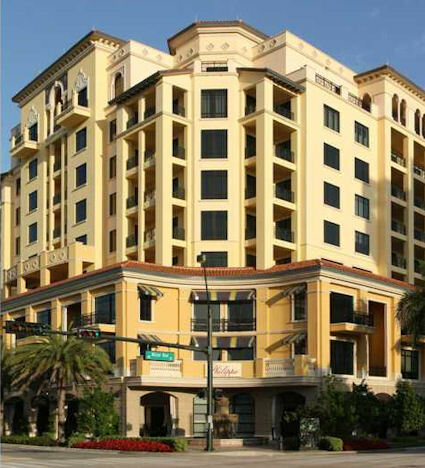 An upscale development, it’s located in downtown Boca and represents a good value for this affluent area. 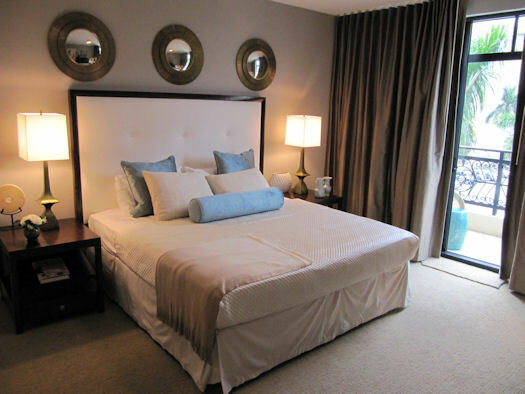 200 East offers luxurious townhomes and condos in beautiful downtown Boca Raton. 200 East is a luxurious, Mediterranean-style, nine-story building. It consists of a mix of 115 townhomes and condos. They’re located above a first floor made up of upscale retail space. When you enter 200 East, the first thing you see is the beautiful two-story lobby. Other amenities include a resort-style pool deck with pool and hot tub on the fourth level. There’s also a spa/fitness center and club room. And coming in September is Philippe Chow, an upscale Chinese restaurant, featuring three bars, including an extensive outdoor bar that will be added to the first floor retail. A pool with spacious sun deck and hot tub are located on the fourth floor of 200 East. As I mentioned at the beginning, Boca Raton is recognized worldwide as a highly desirable community. It’s a dream city comprised of luxury real estate, five miles of beach frontage, over 750 acres of lush green parks and an average annual temperature of 74.7 degrees. 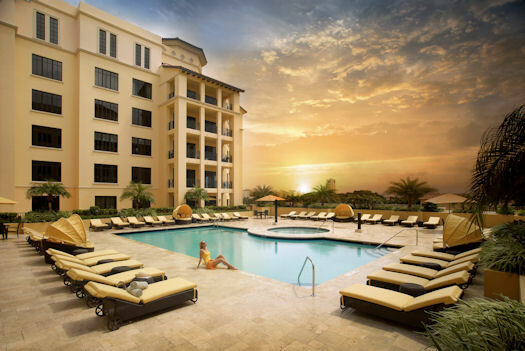 200 East is located in the heart of downtown Boca Raton between the beautiful Boca Raton Resort and Club, with its three golf courses, and world-class shopping in Mizner Park. The neighborhood features some of the best area shopping. Besides, Mizner Park, Royal Palm Place is nearby, as is Boca Raton’s Town Center Mall, featuring upscale shops including Nordstrom, Saks, Cartier, and Louis Vuitton, just to name a few. From 200 East, you can walk to dozens of restaurants, boutiques, cinema, and activities in the downtown Boca Raton area or to the beaches of the Atlantic Ocean, less than one mile away. You are also in close proximity to three international airports. Fort-Lauderdale-Hollywood and Palm Beach airports are both only 30 minutes away, and Miami International is just an hour’s drive. Enjoy fine dining at 200 East’s on-site restaurant or at Boca’s many great dining venues. Boca Raton offers several cultural and recreational venues as well. Art enthusiasts flock to Mizner Park’s Center of the Arts Amphitheater and the Boca Raton Museum of Arts, located in the center of town. Or maybe you’d prefer snorkeling trips through Red Beef Park and Spanish River Park, or visits to the Gumbo Limbo Nature Center. In Boca Raton, you’ll find all kinds of activities to entertain you. Construction on 200 East was completed in 2009. A u-shaped building, it offers ocean, city, and golf course views. It features 115 condos inclusive of 22 townhomes on the 2nd and 3rd floors and 10 penthouse condominiums on the top floor. Buyers will have an opportunity to choose their own marble flooring, carpet and paint colors. 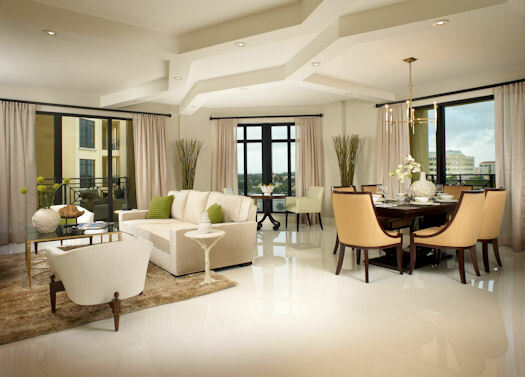 You can choose from 19 distinctive floor plans, ranging in size from 1,707 to 2,775 square feet. Designer finishes are installed and paid for by the developer. You select your own marble, carpet, base boards, paint colors and customized closet build-out. 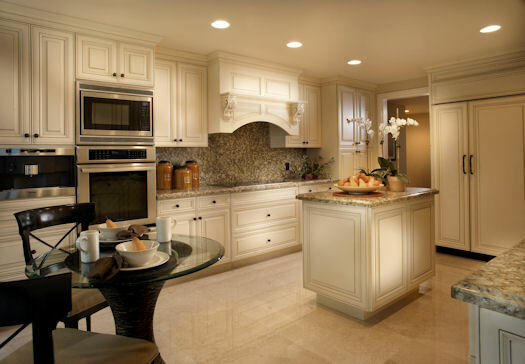 Kitchens come with custom cabinets, granite countertops and top- brand appliances. 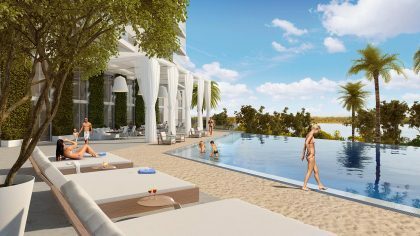 During pre-construction, the 200 East homes were originally priced from $995,000-$1,695,000, which was about par for the course in Boca Raton residences. But now, the pricing has been significantly adjusted to reflect the current market, which is why I said earlier that 200 East offers value. Residences are delivered move-in ready. Financing is available to qualified buyers. Prices now range from $674,900 to $1,249,900 for unfurnished condos, but if you’d prefer, there are a handful of beautifully furnished models to choose from as well. Financing with favorable rates is available. Closings can take place in as little as 45 days. Want to know more? I’ve put together a detailed data sheet. Just click on the link below to request a copy a.s.a.p. Request the 200 East Data Sheet here. Thank you for your interest in 200 East and the other properties we showcase at Condo Hotel Center. 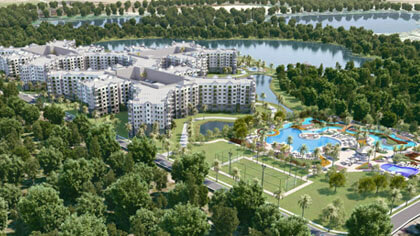 You can find more Florida condos here and other featured properties and condo hotels here. Please feel free to share our Property Alerts with friends, if you know someone who might be interested. If I can answer any questions or arrange a tour for you of 200 East or any other property, please be in touch.